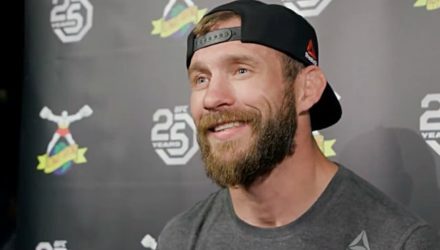 Darren Till showed that he was a true contender with an impressive performance against Donald "Cowboy" Cerrone in 2017. 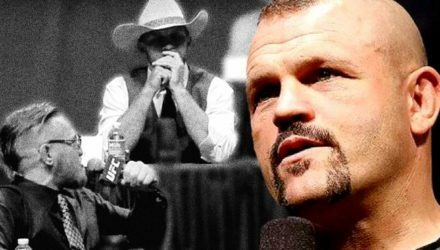 UFC Hall of Famer Chuck Liddell is siding with Conor McGregor in his battle for main event status. 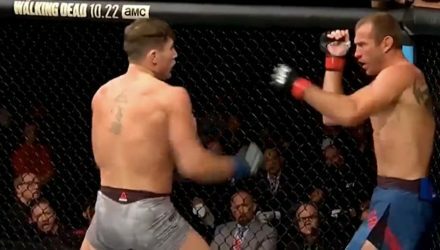 Joe Rogan reveals why Conor McGregor vs. 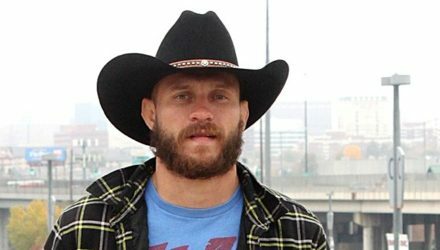 Cowboy Cerrone isn't happening despite everyone wanting the fight. 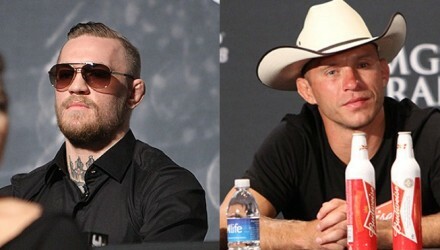 UFC president Dana White says they are looking for an alternative to Conor McGregor for Donald "Cowboy" Cerrone's next bout. 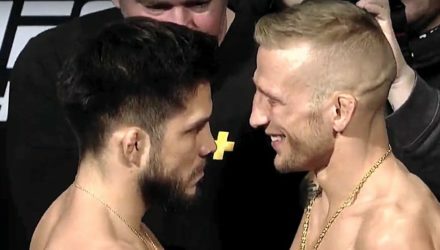 Go behind-the-scenes to witness all of The Thrill and The Agony from UFC Fight Night: Cejudo vs Dillashaw in Brooklyn. 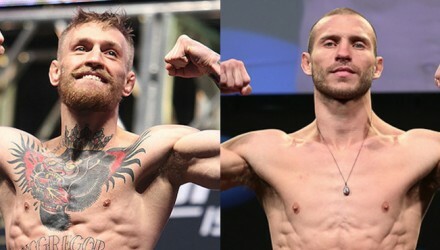 Donald Cerrone called for a fight with Conor McGregor on Saturday night. 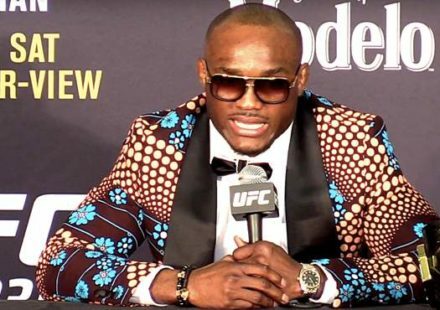 McGregor is interested. 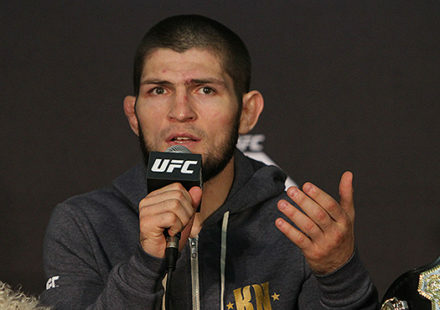 So is Dana White. 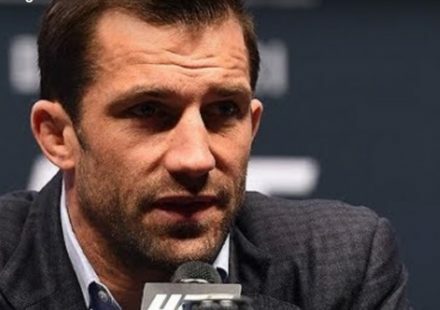 UFC president Dana White announced the recipients of the fighter bonuses stemming from UFC Brooklyn during the event's post-fight press conference on Saturday. 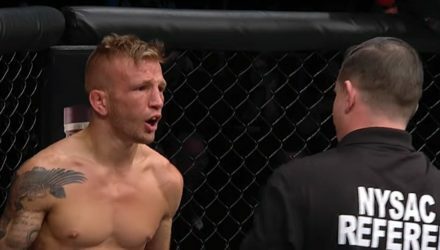 Check out the highlights from Donald "Cowboy" Cerrone's knockout finish of rising lightweight Alex Hernandez at UFC Fight Night: Cejudo vs. Dillashaw. 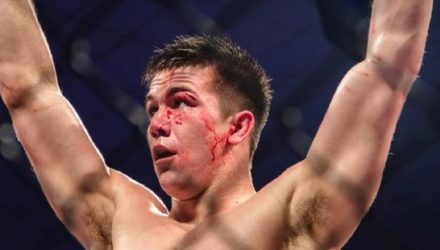 Alex Hernandez (10-1) steps up to the biggest challenge of his career to date when he takes on Donald Cerrone (34-11) on Saturday. 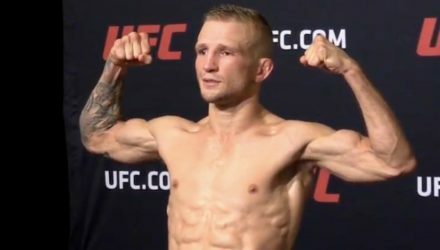 The UFC Fight Night: Cejudo vs. Dillashaw fighters officially weighed in on Friday. 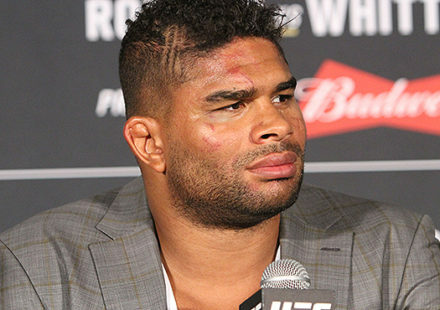 See how the athletes looked on the scales. 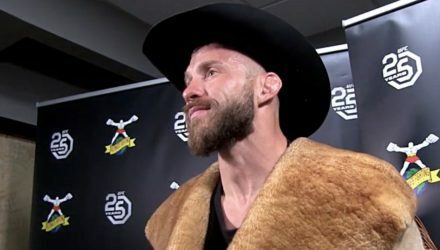 Donald "Cowboy" Cerrone is highly motivated to finish his opponent Alex Hernandez by knockout or submission Saturday night at Fight Night Brooklyn. 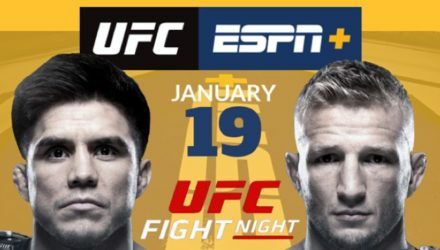 Watch the UFC Fight Night: Cejudo vs. Dillashaw Weigh-in live on Friday, January 18, at 6 p.m. ET. 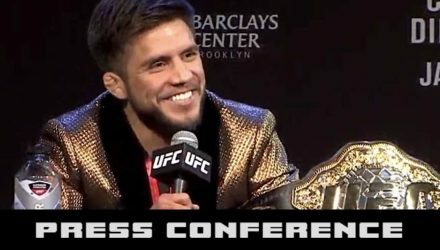 Ahead its ESPN+ debut, the UFC held a press conference on Thursday with Dana White, Henry Cejudo, TJ Dillashaw, Alex Hernandez, and Donald Cerrone. 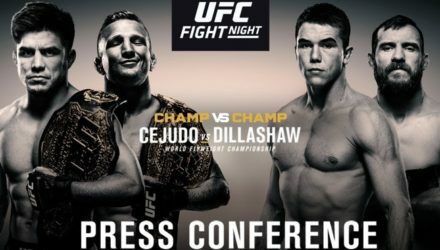 Ahead of the UFC's debut on ESPN+, they will hold a press conference with Dana White, Henry Cejudo, TJ Dillashaw, Alex Hernandez, and Donald Cerrone. 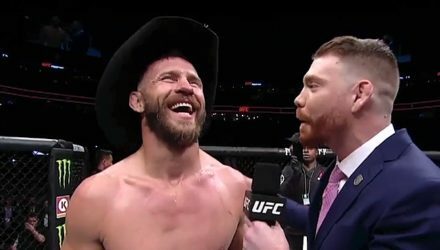 Donald "Cowboy" Cerrone reflects on three of his personally memorable past performances among his illustrious 46-fight MMA career. 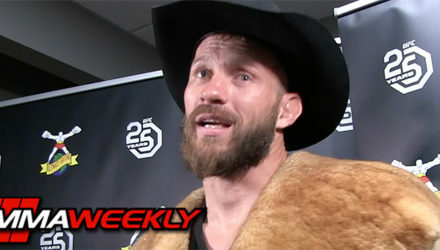 As he's getting on in his MMA years and in life, Donald "Cowboy" Cerrone has some sage advice. 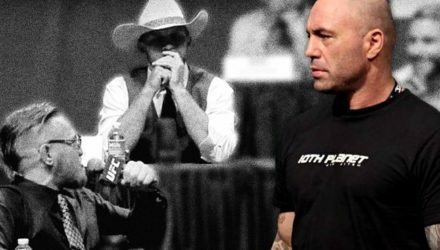 For all the chatter about Donald Cerrone wanting to fight Conor McGregor, Dana White denies any truth to there being a fight in the works. 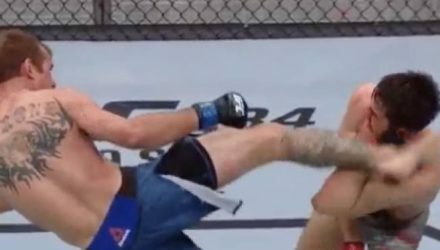 Donald Cerrone's latest thrill ride is one that kind of blindsided him. 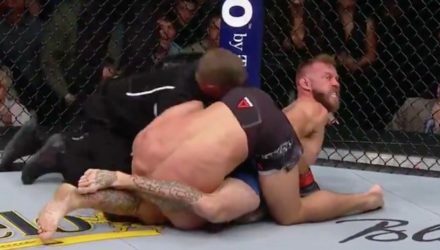 No fences were mended between Donald Cerrone and Mike Winklejohn after Cowboy finished Mike Perry at UFC Fight Night 139 in Denver. 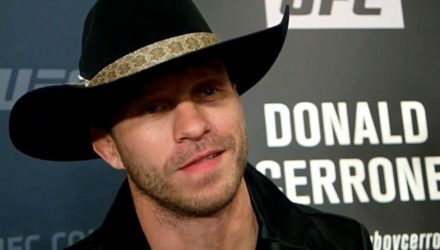 Donald "Cowboy" Cerrone insisted his next fight would be at 155 pounds and that the UFC offered him a fighter he deemed "very exciting." 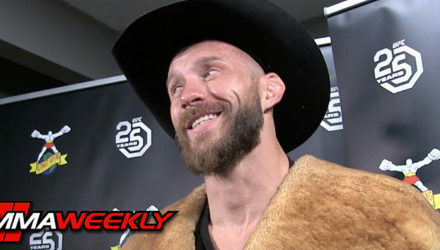 Check out highlights from Donald "Cowboy" Cerrone's record-setting, first-round finish of Mike Perry at UFC Fight Night 139 on Saturday. 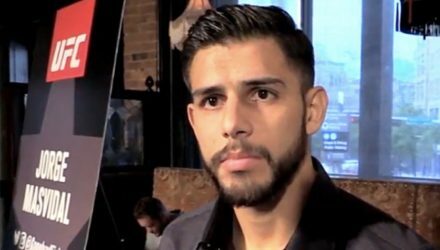 Yair Rodriguez was the big winner all around at UFC Fight Night 139 in Denver, taking home two post-fight bonuses. 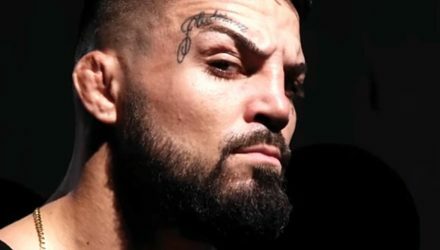 When Donald "Cowboy" Cerrone found out that former training partner "Platinum" Mike Perry had requested a fight against him a rivalry was immediately born. 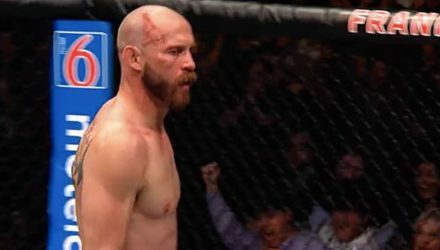 Donald Cerrone and Mike Perry will settle their score when they meet in the co-main event at Fight Night Denver on Saturday.